I remember the first time I heard it. I was a little girl and my mother was playing her favorite Christmas songs. That sultry smooth, deep voice. Whenever I hear that song now I picture my mom. a young teenage girl sitting on the floor in front of a black and white TV, sighing over a handsome dark haired man that would go on to change the world of music. I wonder if he knew we’d still be listening to “Blue Christmas” all of these years later. This year, at our house, we are most definitely experiencing a “Blue Christmas” but not the sad, soulful kind…more the pretty cobalt kind! and my blue, gold and white Christmas tree makes me sigh a little every time I walk past it! I’ve always wanted a towering Christmas tree but never had the ceilings to accommodate one….until now! 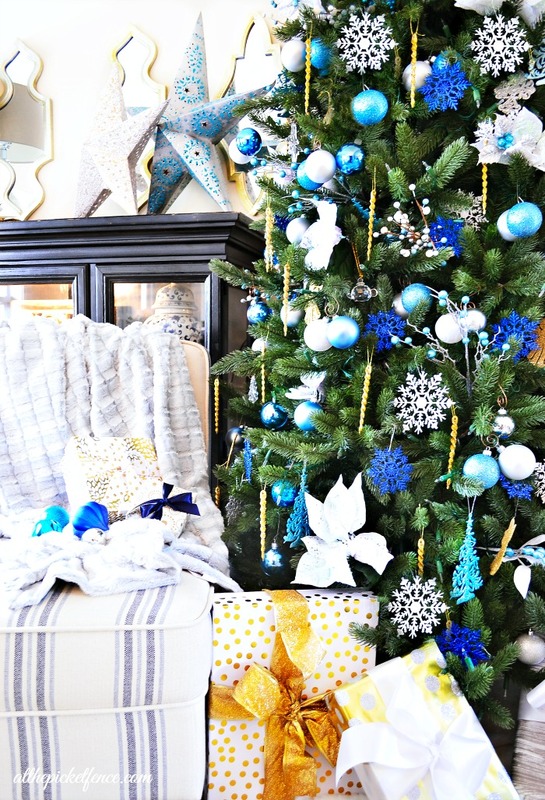 So, when Balsam Hill asked me if I’d like to have one of their trees, as part of the 12 Bloggers of Christmas, I jumped on the chance to finally have a spectacular Christmas tree! When my Good Housekeeping Seal of Approval Vermont White Spruce arrived on my doorstep, my face lit up like…well…a Christmas tree! I couldn’t wait to get this beauty up! I was so impressed with Balsam Hill’s attention to detail. From the nice storage bags, to the gloves for fluffing the tree, to the detailed instruction manual, it couldn’t have been easier to put my tree together! My mom happened to be here visiting, so we each donned a pair of gloves and got to fluffing! I think we both gasped a little when we felt the branches of the tree. They felt so real! That’s Balsam Hill’s “true needle” technology, except these needles won’t fall off and need vacuuming every other day! I swear I expected to smell the sent of evergreen coming from them. Once the tree was plugged up, it was a matter of hitting the On/Off foot pedestal and standing back to admire her all aglow! I know our family will enjoy our beautiful new tree for many, many years! In fact I’m sitting next my blue christmas tree while I type this. Enjoying it’s lights, drinking some coffee and there might even be a little Elvis playing in the background…. 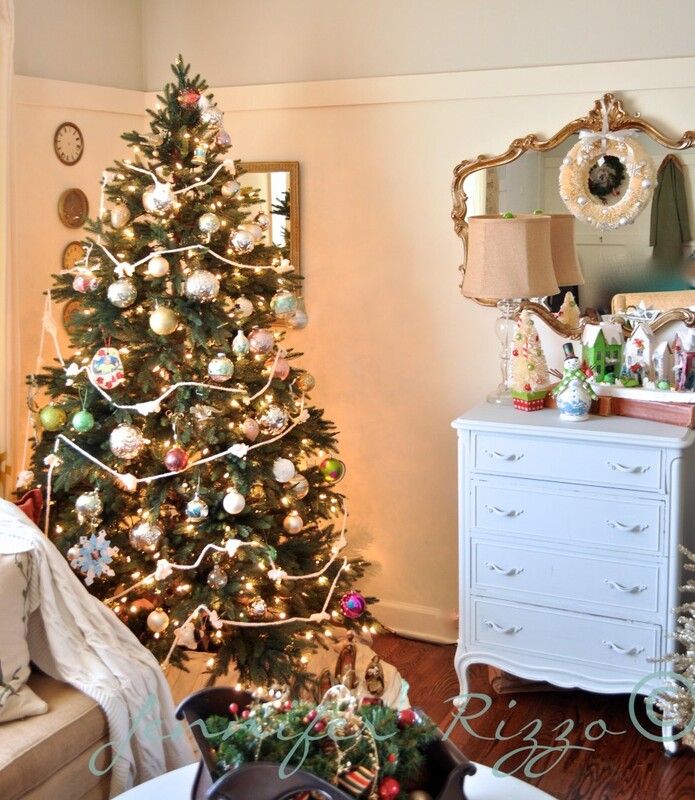 Today the talented Jennifer Rizzo is sharing her beautiful Balsam Hill tree as well, be sure to head over there to see it! 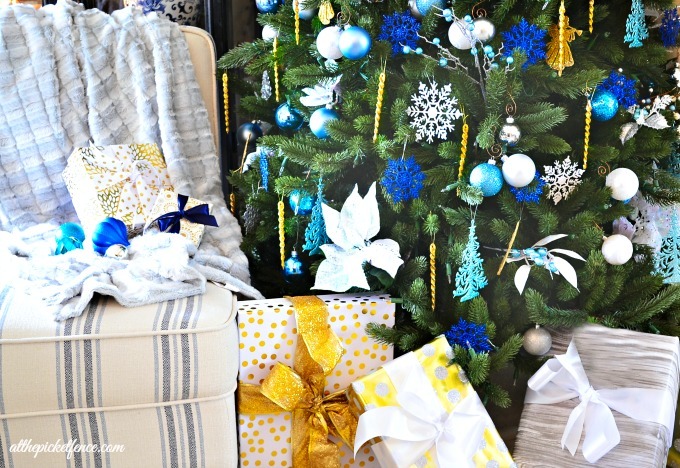 And, be sure to join us back here tomorrow for an AMAZING $1800 Balsam Hill Giveaway AND a round up of all 12 beautiful Balsam Hill Blogger Christmas Trees! 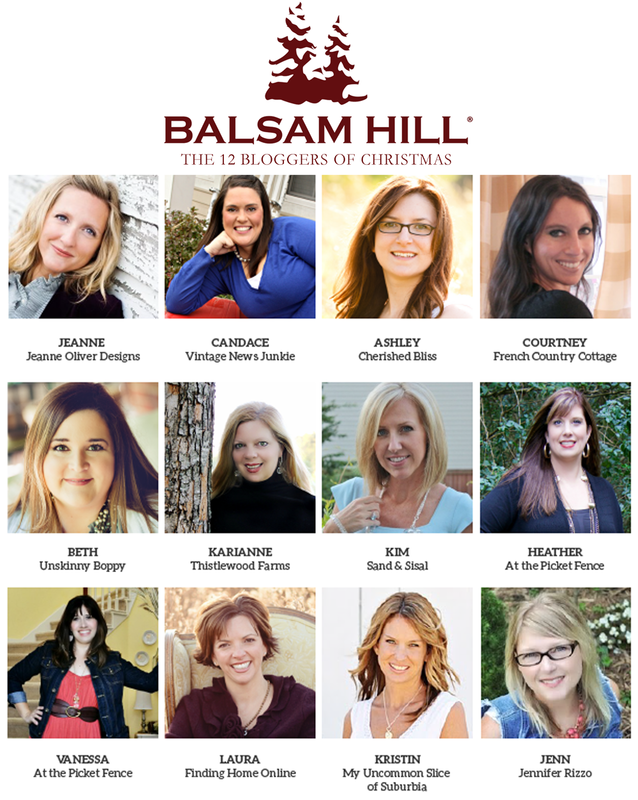 Also be sure to pay the Balsam Hill Blog a visit, where they have been featuring each blogger all week with some fun interviews! 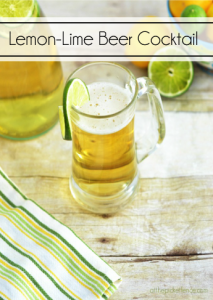 See you back here soon…at the picket fence! Also, if you haven’t already, be sure to come take the Holiday Housewalk Tour of Vanessa and Heather’s homes! I was provided a tree to review by Balsam Hill, but all opinions, about the tree… and Elvis, are my own! Please see our Disclosure Policy for more information. 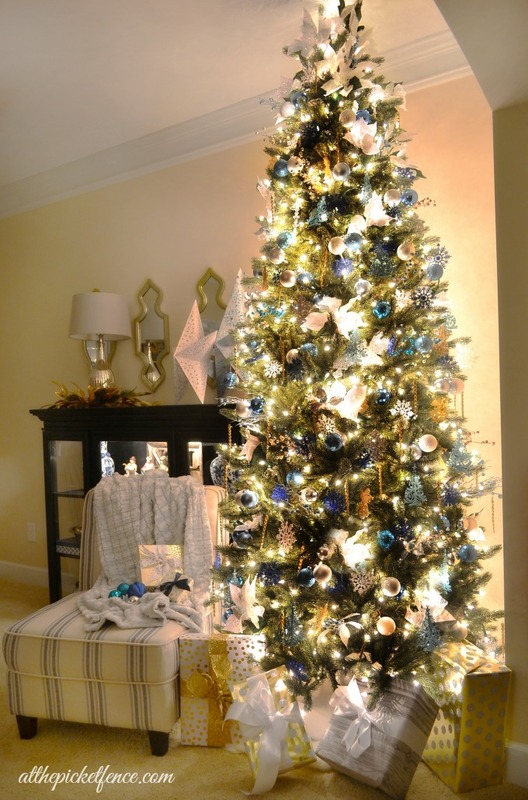 25 Comments on "I’ll have a Blue Christmas Tree…"
Your tree is gorgeous! 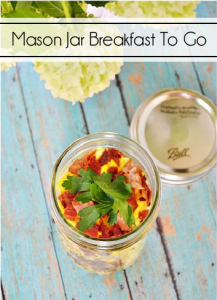 Balsam Hill is fabulous! 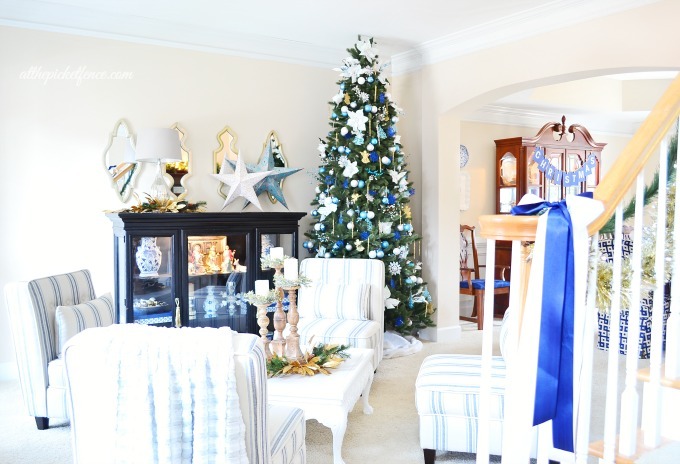 I’m eyeing one of their white trees…thanks for the inspiration! 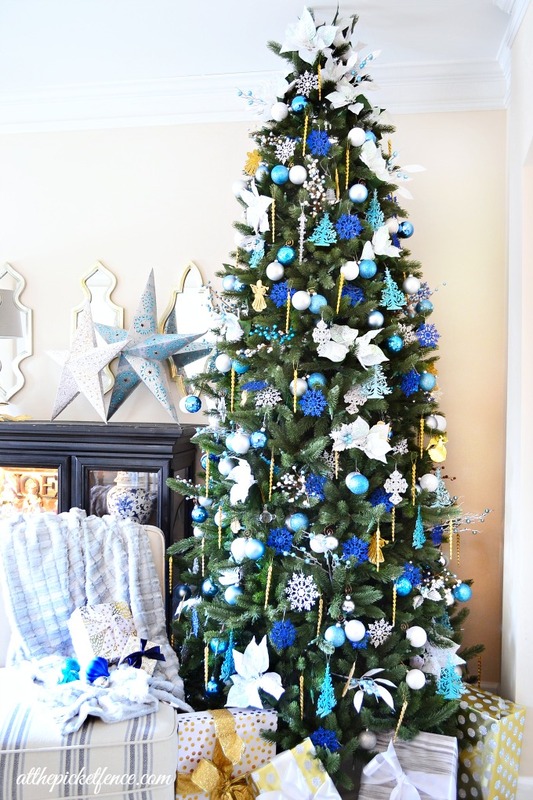 I love your tree Heather- so pretty in it’s blue decoration and of course, I am now singing that in my head 😉 These trees are truly so beautiful and I love how everyone has decorated them! Your artificial tree could smell like a fresh tree if you ordered some “Scentsicles” from http://www.amazon.com. I put them on my artificial tree this year and my husband asked me why I decided to buy a real tree this year! 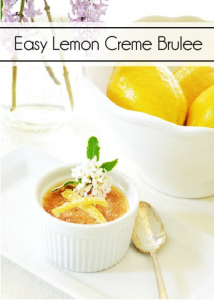 They are wonderful and truly add the scent of Christmas to your home. So gorgeous! I love all that blue and I especially love how the entire room looks! Beautiful!! Love the night shot! Your tree is just beautiful! Love the blue 🙂 My mom used to play Elvis all the time,I can see her in the kitchen cooking up a fabulous meal right now singing his songs. Gorgeous! Fabulous mix of the blue tones! I love it! I love your balsam hill tree and I am considering buying one for next year. I am curious as to the girth of the tree that you purchased. Is the girth about 55 inches or so? Most of their trees have a very large girth measurement and I am not wanting to purchase one that is too large for my space. Would you be so kind to help me with your input?